This article is 3051 days old. 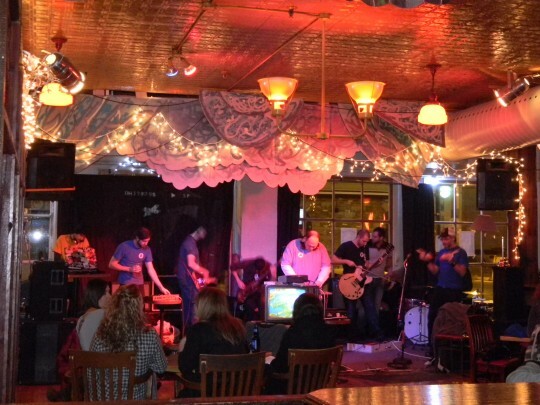 Last night at FM Lounge on Chatham Street, eleven Windsor musicians got together to put on a unique live music experience. 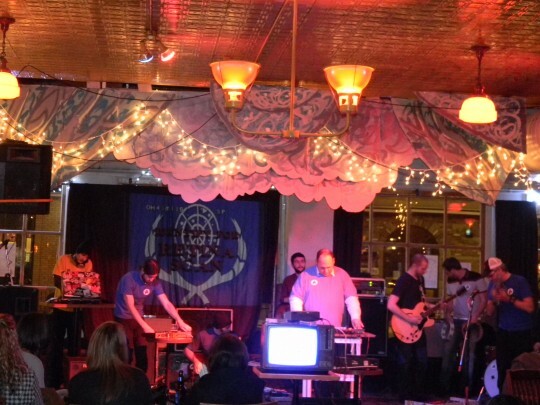 Members of Orphan Choir, What Seas, What Shores, James OL and the Villains and other prominent Windsor bands came together as Star Trek to put on an improv show featuring the dialogue of Star Trek II: The Wrath of Khan, while the film played behind them. Multiple drum machines and synths, two drum kits, bass, guitars, and various percussion made for an exciting, experimental auditory experience for all those in attendance. They played to the entire film, breaking it down into two hour-long sets. This was the group’s second performance, having played in the summer with a show based around various Star Trek episodes. But will there be more shows by this improvisational jam band? Couldn’t tell you. But if there ever are, be sure to check these guys out.